If you can’t make it up north, then here is your last choice of the season and it’s in the south. So, what’re you waiting for? Don your cycling outfit, pull out your bike, pump your tyres and get on the road. 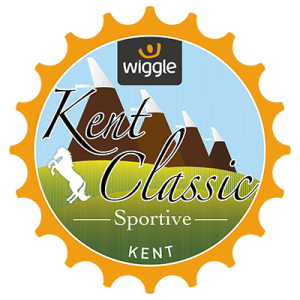 The Wiggle Kent Classic Sportive is a cycling event which we know you’ll enjoy. There won’t be too many members of the Birmingham Cycling Club here, but you should certainly be there if you can make it and send us your pictures when possible too! You have just 21 days to sign up for this event – so get your credit card out and head over to the UK Cycling Events page – yet again. We’re regular members to this website. So, onto the details: the event will take place on Saturday 11th November 2017. Wondering where it’ll be happening? The exact address is Lingfield Racecourse, Lingfield Park, Racecourse Road, Lingfield, RH7 6PQ. We expect to see you there! We’ll be there early with our lycra and helmets, of course. The event opens at 7:20am – are you a morning bird? You better get training if not. The discipline for this event is road, so make sure it’s right for you and then pick your option below. The Epic option includes 79 miles and 5462 ft. 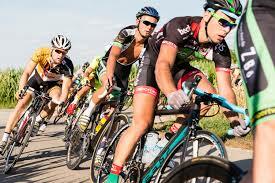 It will cost you just £35 on the Cycling UK Events page. However, if you buy on the day then you can expect to spend £5 more as usual. Choose this option if you’ve been training hard for the season as the conditions may be less than desirable and it’s never a wise choice to up your game in the winter months. Otherwise, choose the Standard option – which many of the Birmingham Cycling Club will be choosing. For this, you’ll need to pay the same price at £35. However, 50 miles and 3661 ft may be easier for you! Take this into consideration. Finally, choose the Short option if you’re wanting to join in but stress less about the distance. You’ll find that this is 28 miles and 1919 ft. However, the price is also a lot shorter than the full distance options too at just £26. But, on the day, you can expect to pay £31 – we often choose this option if we’re unsure whether we’ll make it. However, if you can be sure then why risk not being able to get on the course on that day? The under 16s is exactly what it says on the tin. However, this will cost you nothing! So, why not encourage your kids to be healthy and enjoy cycling as much as you do? All you need is to invest in a bike and your child could have a healthy hobby or passion for life. What’s stopping you? At the event, you’ll find mechanics, medical teams and photographers. Your money also pays for parking, food and drinks – this includes on-site catering. After the event, you’ll receive a certificate and rider liability insurance as well as a bike wash after the event has taken place! What’re you waiting for! Book your ticket and we look forward to seeing you in Kent in the cold winter months.